Since we are at the beginning of the school year, we recently had an Enrichment activity (church meeting for the women held on weekdays doing all sorts of fun and interesting things) on school lunches and how to deal with all those papers kids bring home. They asked me to teach the section on school papers and artwork. I'm no expert, but after poking around the web and combining it with what I already do, here's what I came up with. 1. Have a designated place for each child to put their work throughout the year. I use simple cardboard boxes. 2. At the end of the school year and then go through the pile, keeping only the very best papers and artwork. It will be easier to sort at the end of the year, because the special papers will stand out from the rest and it will be easier to toss or recycle older papers. 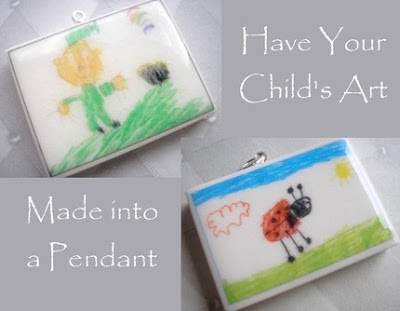 To deal with larger/3D artwork: Have the child hold the artwork and take a picture. 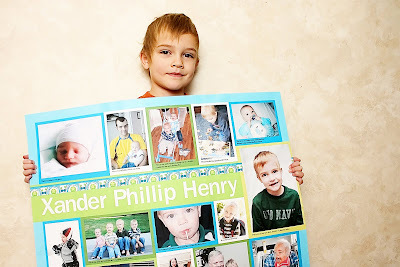 Here's Xander with his star of the week poster last year. He didn't make it, but you get the idea. Very simple: Decorate a keepsake box. This can last all through the school year. Simple : Buy a binder for each child and grade and a whole lotta page protectors. Put artwork + pictures of artwork + anything else special from school in the protectors. A little more complicated : Take your stack of artwork and papers and have them spiral bound at an office supply place. This is relatively inexpensive. Make sure to get a sturdy cover and back. Most complicated : Scan (or have scanned) all the artwork and have it bound and printed in a photobook. This is the most archivally safe of the methods if this is important to you. Very cool if you can’t bear to part with it and the child wants a copy too. This would be a great way to deal with your own school papers that are lurking about your home. Books range in price and are simple to put together and order. I use mypublisher.com. 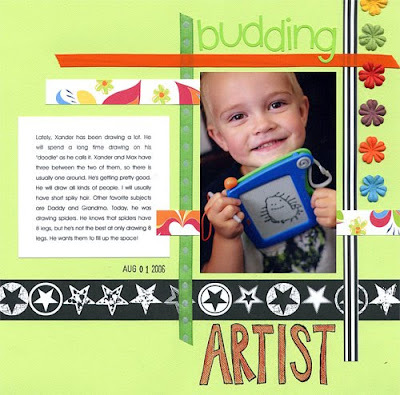 Scrapbook a page featuring the art, artist and story behind it all. Layout of Xander and a spider he drew three (three! three!?!) years ago. Frame it. This would look especially cool in an eclectic grouping in their bedroom. I had Kate's shark drawing made into a vinyl wall decal for the bathroom (haven't taken pictures yet). That only works if it's a one-color line drawing.